Grenville Court, previously known as Britwell Court and The House of Prayer, stands in several acres of grounds to the East of Burnham village. Its spire, with weather vane, is a familiar landmark in Britwell Road. From 1920 to 1981, The House of Prayer was the home of a community of Nuns known as The Congregation of the Servants of Christ. 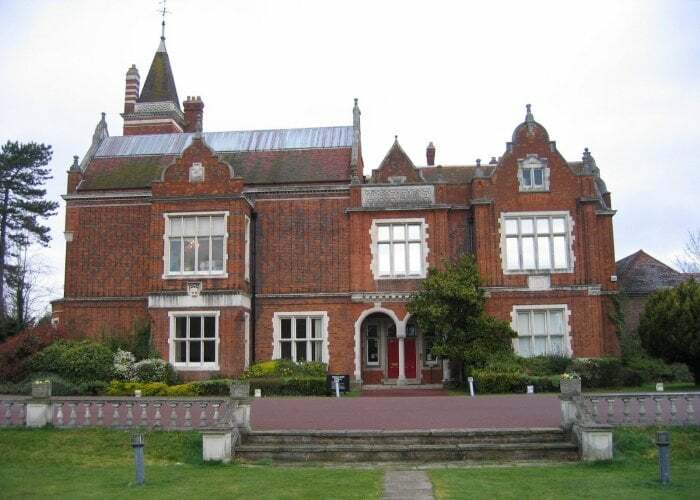 In 1981, the Sisters moved into the former St Anslem House, Britwell Court and subsequently joined a Benedictine Nursing Order at Edgware in October 1989. At the same time, in 1989, the property was purchased and refurbished and was re-named Grenville Court. There has been a house on the site since the 14th century although the oldest parts are now 16th century. It has been known at various times as Brightwell Manor, Britwell House and Britwell Place. Edmond de Beresford held the Manor in 1338, the name Britwell being taken from the family of that name who lived in the vicinity of the Bright Well. The site of this spring may still be seen preserved as a well at the rear of a garden on the East side of Green Lane. At the beginning of the last century, Lord Grenville lived here. He was a cousin of the Prime Minister William Pitt. There have been frequent changes in ownership but it is significant that the owners’ names are commemorated on Britwell Housing Estate, for example Crayle Street, Ravensworth Road and Woodforde Way. Lord Boston lived in the house until his death in 1822, whereupon it became a small pre-Eton preparatory school run by the Reverend Dr Evans. It was as Britwell Place that William Henry Miller bought the estate in 1830. Miller was a great collector of rare books. He started what came to be known as the Britwell Library. He died in 1848, leaving the house to the Misses Sara and Ellen (Emma) Marsh. When the last surviving sister died in 1862, the inheritance passed to William Miller’s nephew, Samuel Christy who, in succeeding, took the Scottish form Christie and adding Miller, thus becoming the first Christie-Miller. He also took over his Uncle’s Arms which can be seen on the West wall of the Library Wing. The Library also has a crest on the South Wall showing a right hand holding an open book. The increasing collection of rare books was housed in a magnificent library built in 1864 which, with the provision of steel doors and mains water hydrants, was intended to be fire-proof. Samuel had only one son who unfortunately predeceased him but, on his death in 1889, the estate came to his nephew, Wakefield Christy, who also took the surname Christie-Miller in 1890. He added the south-east block and the main staircase between 1893 and 1896. The property passed to his son, Sydney Richardson in 1903. The entire estate, including the famous library, was sold in 1919 (1920). Thus, Britwell Court after 1920 became The House of Prayer. It was particularly suitable because of its situation for the contemplative community’s needs. Some of the large upper rooms were divided into cells to accommodate 20 or so Sisters and Oblates. Most of the West Wing alongside the Coach Houses was adapted for use as a Guest House to serve permanent guests and a steady stream of Retreatants. The North Fronthas a stone porch in the Jacobean style with a pierced balustrade. It adjoins the part of the house containing the Woodforde Cells, a range of rooms on the second floor commemorating Elizabeth Woodforde. Flanking this is a Victorian wing presenting the whole front as L-shaped. On the West side, this is joined by a Georgian block, the guest house over the kitchens and is completed by the junction of the tower with a large Victorian gable comprising the refectory with the Britwell Library above. The South Aspect of the house facing the terrace is Victorian, bearing the date 1864; the South East end bears the date 1868. A stone at ground level commemorates the fact that it was laid in 1864 by Lady Grenville in her 93rd year. The Library itself is a large, impressive room; in the high ceiling are three domes protected by skylights on the roof. The walls were entirely lined by glass-fronted book cases from floor to ceiling, access to the higher shelves being by means of galleries and spiral iron stairs. At the side of the fireplace, a bookcase slid back to reveal a passage to another part of the building. At the top of the tower was a large tank to store soft water which could be pumped from a deep well nearby, an indicator showing when it was full. The boundary wall extending from the Chapel east-wards contains an enclosed stone arched shelter and terminates in an hexagonal structure with a mosaic floor. It once had a glazed roof and was an aviary.